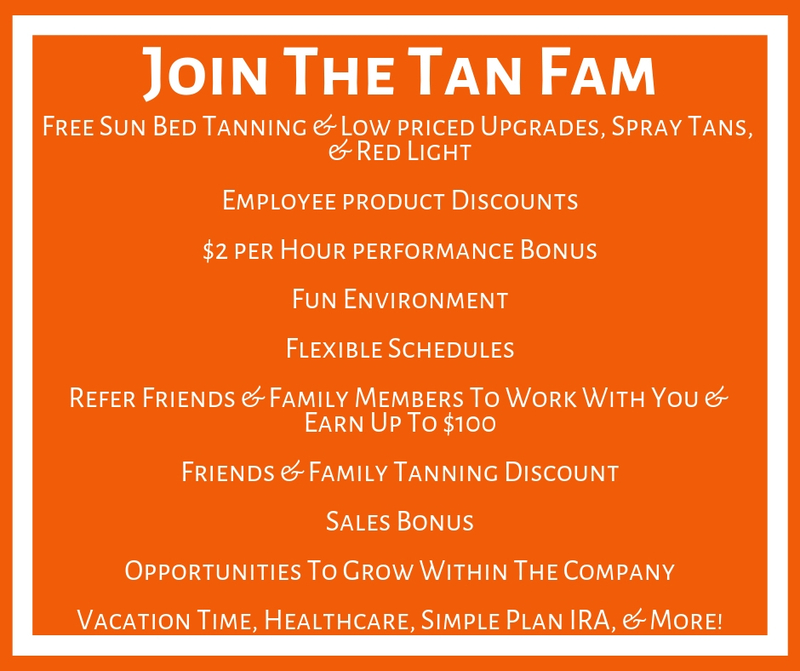 There Are So Many Amazing Reasons To Work For Midnite Sun! Check Out What Our Employees Have To Say! tanning jobs. jobs. who is hiring. hiring near me. Best paying job. fun job. job with benefits. good paying job. jobs that pay well. now hiring. hiring near me. job near me. jobs near me. job application. best place to work. good place to work. Great Discounts on Products and Tanning! Ready to start your career with Midnite Sun? You’re outgoing. You have amazing energy. You love to talk about tanning. Well, we have clients waiting to speak with you. As a Tanning Consultant, you’ll get to know our tanning and product technology inside and out. And you’ll be the one everyone else looks to when it comes to tanning solutions. It’s good to be the guru. …Then this may be the job for you! Tanning Grand Rapids, Tanning Grand Haven, Tanning Holland. Spray Tanning Grand Rapids, Spray Tanning Holland, Spray Tanning Grand Haven. Spray Tan Grand Rapids. Spray Tan Grand Haven. Spray Tan Holland. UV Tanning Grand Rapids, UV Tanning Grand Haven, UV Tanning Holland, Tanning Salon Grand Rapids, Tanning Salon Grand Haven, Tanning Salon Holland, Indoor Tanning. Best Tanning Salon Grand Rapids, Best Tanning Salon Grand Haven, Best Tanning Salon Holland. Tanning Salon Near Grand Rapids, Tanning Salon Near Grand Haven, Tanning Salon Near Holland. Tanning membership. Tanning Prices. Indoor Tanning Membership. Tanning Package. Cheapest Tanning Salon. Cheap Tanning. Automatic Spray Tan. Cheapest Spray Tan. Cheap Spray Tan. Tanning Salon Hiring. Now Hiring Grand Rapids Hiring. Grand Haven Hiring. Holland Hiring. Tanning Job. Tanning Salon Job. Grand Rapids Jobs. Grand Haven Jobs. Holland Jobs. Free Tanning. Free Spray Tan. Jobs available. Who is Hiring. Who Pays Well. Job Pays Well. Job Pays Good. Jobs That Pay Good. Easy Jobs.